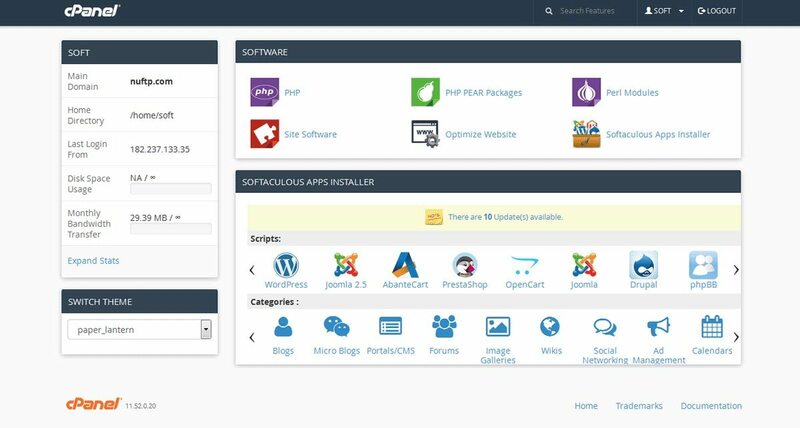 Softaculous is integrated into cPanel and can be installed into cPanel in just 2 minutes. 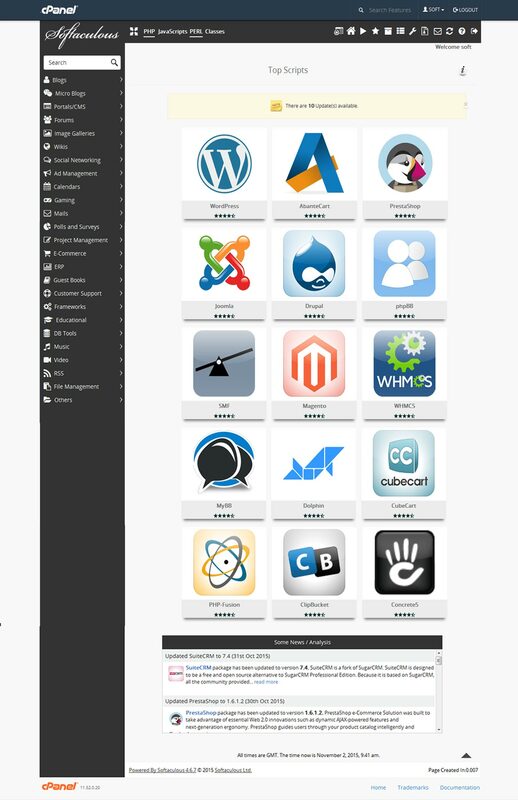 Softaculous is tightly integrated with cPanel and your users can access 413 apps. Softaculous takes care of the complete lifecycle of the application from install to backup to update.